The Canon Pixma MP260, launched in 2008, is an inkjet printer. This all-in-one printer offers great photo print quality. Ideal for students, home users, and small office; the printer uses Canon Pixma MP260 Ink Cartridges for the great quality print. The printer comes the trending steel gray color with black edges giving it a stylish look. This sleek printer weighs 5.6kgs and its height is 15.5 cm, width is 44.4 cm and depth is 33.1 cm. The printer has a control panel on the right side of the scanner and the cartridge slot below it. It offers a resolution of up to 4088X1200dpi. The exceptional photo print quality is credited to the tiny droplets of ink of 2pi* which give an accurate color reproduction. The company claims to be able to print a borderless image in about 45 seconds. It prints up to 15 color pages and 19 btw pages in a minute. The Canon Pixma MP260 Ink Cartridges and photo paper together result in a very good photo print quality. The printer offers a versatility of use of memory card slot for those of you who use a digital camera, so no need to connect it to your PC for a print. You can select the photos to be printed by the Photo Index Sheet. The scanner and copying unit allow you to create high-quality copies through your system. Softwares like Easy-PhotoPrint EX, Auto Photo Fix etc. make it possible for the users to work print exquisite quality photos. The printer supports Mac OS X as well as Windows operating system. The supporting media includes memory stick, compact flash, MMC, SD, xD-Picture etc. The Canon Pixma MP260 printer is an all rounder that is great as a photo printer. Features like ChromaLife 100+ system and Auto Scan mode render it useful to the users. The absence of LCD screen is a major drawback. Q. How many pages can your compatible Canon Pixma MP260 ink cartridges print without having to be replaced? A. Our compatible black Canon Pixma MP260 ink cartridge can print up to 401 pages without requiring replacement and a single compatible colour ink cartridge can produce up to 349 pages. Q. Do you also provide paper that can be used with a Canon Pixma MP260 printer? A. Yes, we provide envelopes, A4 size plain paper, glossy photo paper, semi glossy photo paper and matte photo paper that you can use to print on with this printer. Q. I have been printing with my Canon Pixma MP260 printer for a while. However, recently I started noticing that the colours are unclear. What may be the cause of this problem? Check whether the colour correction option is turned on. You can do this by selecting "Vivid Mode" in the "effects/colour options" in the printer dialog box. Check if the Canon Pixma MP260 ink cartridges are installed properly and there is still ink remaining in them.. If the Ink Cartridge Locking Cover is not closed securely, ink may not be ejected correctly. Open the Scanning Unit (Cover), open the Ink Cartridge Locking Cover and then close the Ink Cartridge Locking Cover. If the ink cartridge has run out of ink, replace it with a new one. Print a Nozzle check pattern and confirm whether it is printer correctly. If the Nozzle Check Pattern is not printer properly, perform a Print Head clean. If the problem is still not solved, perform a Print Head Deep Clean. Q. Are there any other functions that this printer can perform? A. The Canon Pixma MP260 printer is an all-in-one printer that comes with scanning as well as copying features. This helps reduce space since one machine can do the job of three machines. Q. How long would it take for Canon Pixma MP260 ink cartridges to be delivered to me in Belfast? A. If you place an order for any of our products before 12 noon, the item will be delivered to your within 1 - 2 days. If your order is urgent and you require it faster than the standard delivery time, contact us on 048 308332211 and we will try our best to deliver the product to you as fast as possible. Q. Does this printer offer wi-fi or bluetooth connectivity? A. No. Canon Pixma MP260 does not offer wi-fi or bluetooth connectivity. Q. Does this printer offer memory card compatibility? A. Yes. Canon Pixma MP260 printer has built-in memory card slots. This feature supports direct printing without using the PC or laptop. Q. What are the basic functions of this printer? A. Canon Pixma MP260 offers great photo print quality. Ideal for students, home users, and small office. The printer uses Canon Pixma MP260 Ink Cartridges as consumables for the great quality print. It scans at up to 1200 x 2400 dpi, plus prints and copies at up to 19 ppm (mono) and up to 15 ppm (colour). Q. What are the extra features in Canon Pixma MP260 printer? A. 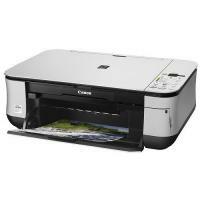 The Canon Pixma MP260 printer is an all rounder that is great as a photo printer. Features like ChromaLife 100+ system and Auto Scan mode render it useful to the users. Q. What is the major drawback in this printer? A. The absence of LCD screen is a major drawback. Q. Which software does Canon Pixma MP260 printer support? A. Canon Pixma MP260 printer supports softwares like Easy-PhotoPrint EX, Auto Photo Fix etc. These softwares make it possible for the users to work print exquisite quality photos. Q. Which ink type does this printer use? A. Canon Pixma MP260 printer uses FINE cartridges. Q. What is the use of ChromaLife 100+ in a machine? A. ChromaLife100+ is a system that is used to improve the beauty and permanence of the printed images. It is available with the combination of selected Canon inks and papers only. With the combination of FINE print head, dye-based inks, and genuine photo paper, one can get more vibrant, beautiful, and long-lasting photos than others. Q. Can I expect high-quality photos from Canon Pixma MP260 printer? A. Yes, this all-in-one printer offers great photo print quality with the print resolution of up to 4088X1200dpi. The Canon Pixma MP260 Ink Cartridges and the photo paper together result in a very good photo print quality. Many software like Easy-PhotoPrint EX, Auto Photo Fix etc. make it possible for the users to print exquisite quality photos. Q. What is the shelf life of the Canon Pixma MP260 Ink Cartridges? A. If stored properly in cool and dry place, the shelf life of these cartridges can be up to 6 months or more depending on the environmental conditions.